If you’re looking for a unique pasta salad recipe, give this one a pin. 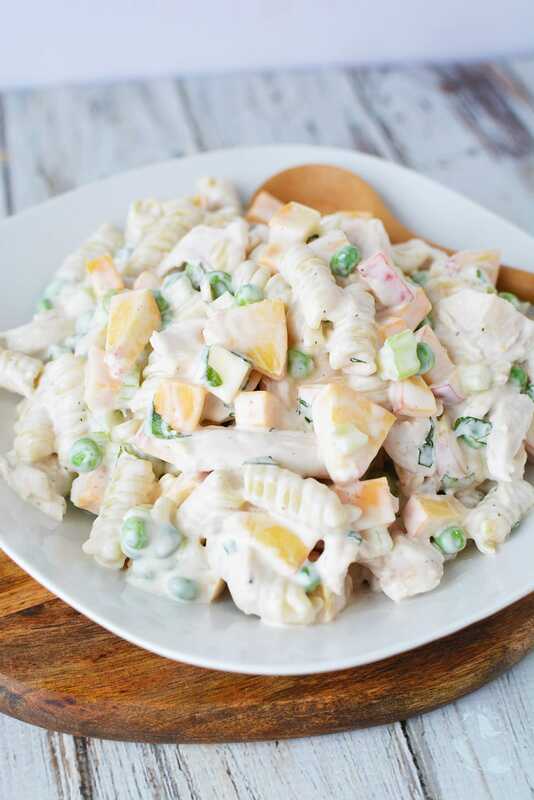 This chicken and peach pasta salad recipe may seem like an odd flavor combo. The sweetness of the peaches blends well with the chicken and pasta, giving each bite a burst of flavor. 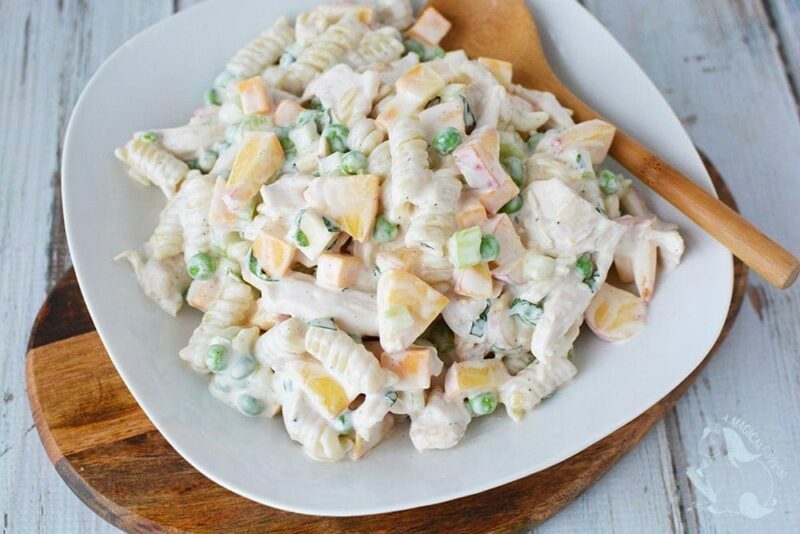 Anyone that enjoys trying different types of macaroni salad should give this recipe a try. Summer might be flying by, but a good cold pasta salad doesn’t have to be seasonal. Pasta salads are frequently a dish brought to parties but don’t forget about them during the rest of the year. Whip up a homemade pasta salad to keep in your house for hungry snackers. Or, as a ready-made side dish to go with dinners. Pasta side dishes are perfect to make the day before an event. If you are hosting or attending a party, shave some pressure off by doing as much as possible the day before. 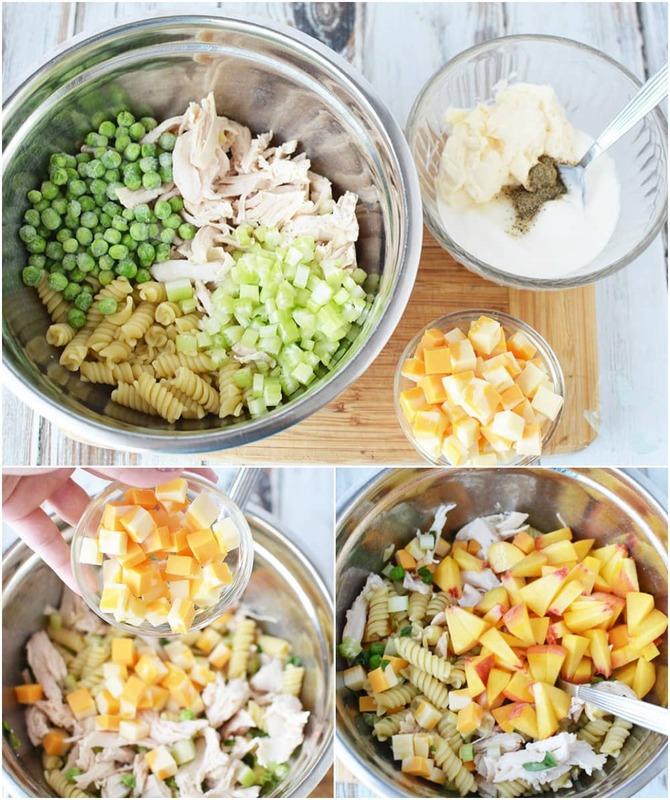 Place pasta, chicken, peas, celery, cheese, basil, and peaches in a large bowl and mix well. In a small bowl, combine mayonnaise, sour cream, lemon juice, salt and pepper and mix well. Pour over pasta mixture and mix well to evenly coat. Refrigerate 2-4 hours and serve cold. 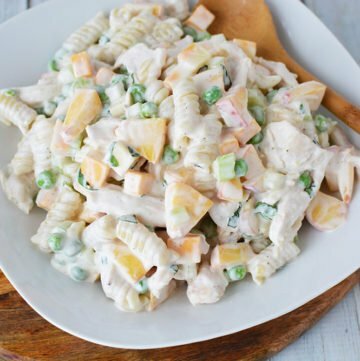 Do you think you would like this creamy chicken pasta salad? 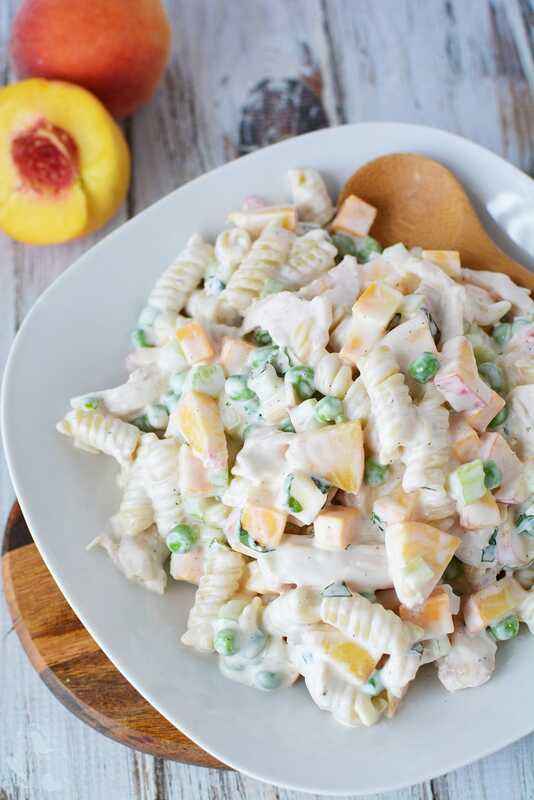 I haven’t tried peaches in a pasta salad, but this looks really good and worth trying. That does look like an interesting pasta salad. It’s peach season so now would be a good time to try it. 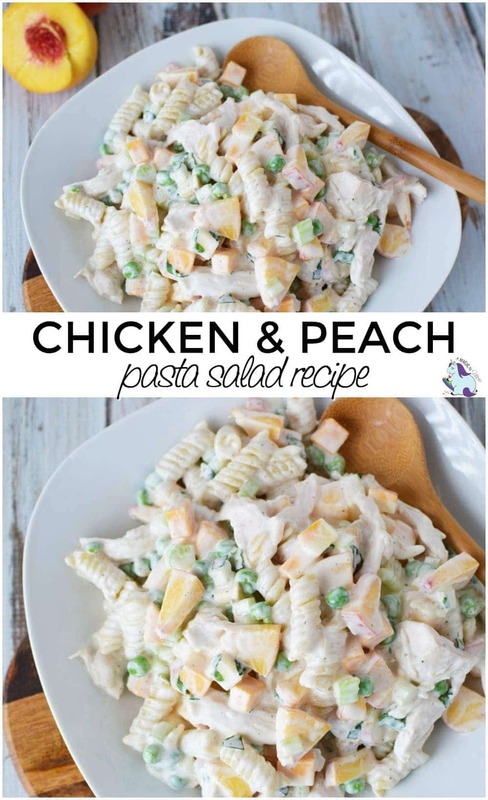 Chicken and Peach Pasta Salad Recipe would be something different for me to try. It would be nice to take this to a summer BBQ.